Until the mid-to-late 20th century, discussions about words and music in opera and art song—vocal music with lyrics drawn from preexisting poetic texts— often focused on which medium was more important. However, with advances in recording technology and the rise of popular music, that began to change. 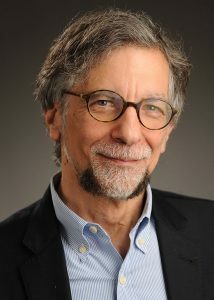 “Instead of thinking about which medium should dominate or take priority, the question became what their relationship is and how they interact with each other to create expressive effects, cultural meanings, and new musical forms,” said Lawrence Kramer, Ph.D., an accomplished composer and Distinguished Professor of English and Music. In his new book, Song Acts: Writings on Words and Music (Brill, 2017), a collection of previously published essays spanning over two decades, Kramer examines art song, opera, and the intricate ways that words and classical music interconnect. Song Acts, Kramer’s 13th book about music, touches on music and poetry, sexuality, war, mourning, romanticism, and cultural change, among other topics. For Kramer, music is a meaningful cultural activity—not just a pleasant pastime. 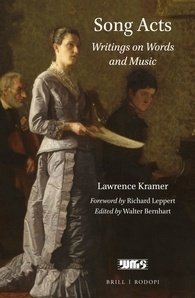 “The thing that I’ve been interested in doing over the years is asking how one can look at particular musical works and styles, even particular moments in musical performance, as barometers of complex cultural situations,” said Kramer, who previously published the trilogy, The Thought of Music (University of California Press, 2016), Expression and Truth: On the Music of Knowledge (University of California Press, 2012) and Interpreting Music (University of California Press, 2010). A paper, “Syringa,” published in the early ‘80s, examines the American poet John Ashbery’s collaboration with the late Pulitzer Prize-winning composer Elliot Carter in 1978. For Song Acts, Kramer said he revised and rewrote some of the previously published writings from the ground up to provide enriched perspectives. Being a composer as well as a musicologist provided Kramer with a greater degree of understanding of the complexity of art songs, he said. Song Acts aims to help listeners hear music more perceptively so they can respond more rewardingly to what they hear, he said.